The modern home is not just a place we go in the evening to hang our hats. It’s our center of activity, our family gathering place, our haven from the rest of the world. It is also the place we are likely to produce massive amounts of garbage and waste. The Philips Design team is looking to the future with their microbial kitchen concept that will keep us healthy while reducing our overall environmental impact. 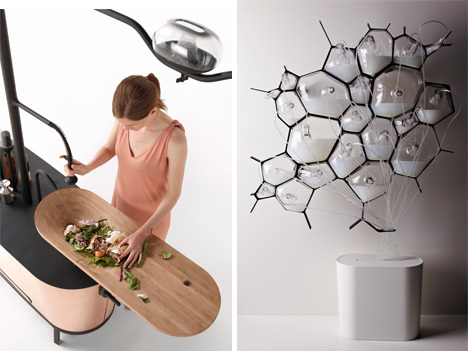 The concept of the microbial kitchen puts the power to save the planet right in the heart of your home. It puts a healthy twist on every aspect of the kitchen: from food storage to waste disposal to lighting and everything in between. Fresh foods are stored in a terra cotta larder rather than a refrigerator, saving electricity and keeping “living” foods fresh longer than a fridge would. 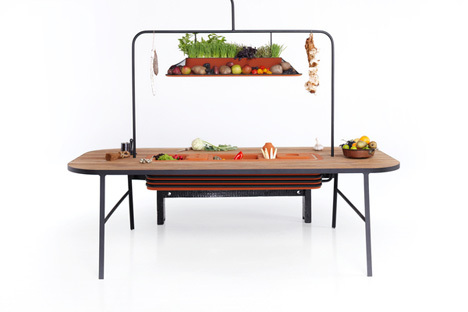 A small garden hanging above the dining table supplies the freshest possible vegetables. When it comes to preparing food, the cook can power the kitchen lighting just by sweeping vegetable waste into the integrated waste grinder. The vegetable trimmings and other waste products are converted into methane gas and compost, both of which are used to feed bio-luminescent bacteria. The bacteria eat up the waste and provide a subtle green glow to light up the kitchen. 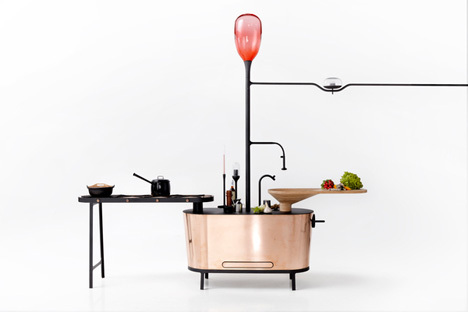 While Philips is definitely ahead of the curve on this futuristic composting kitchen concept, their ideas seem spot-on. What we need today is designers who understand that design should encompass the needs of the entire planet, not just the individual. 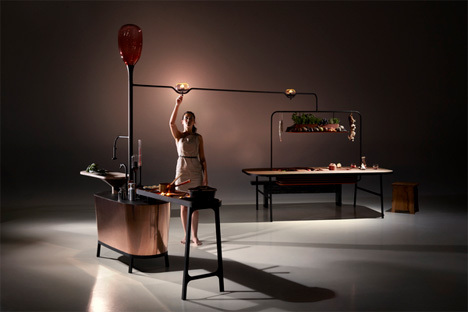 Are we likely to see such a dramatic shift in real kitchens anytime soon? Not really. But if every generation of kitchen design leads us closer to greener homes, we are on the right track.